A large and thick piece of Pentacrinites stone which exhibits wonderful pyritised arms from a large crinoid. The detail throughout is excellent. Specimens of this quality are now becoming scarse and therefore highly sought after amongst collectors throughout the world. This complete calyx has been very well preserved from this world famous iconic silurian locality. 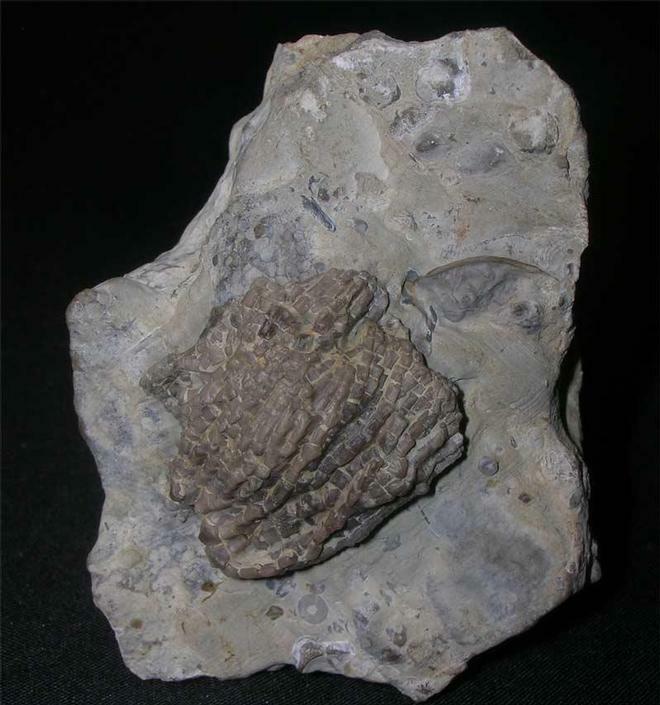 The specimen lies on a piece of fossiliferous limestone and was discovered in 1969. Crinoids from this locality are incredibly scarce to obtain or find thesedays and this example has lovely detail throughout. 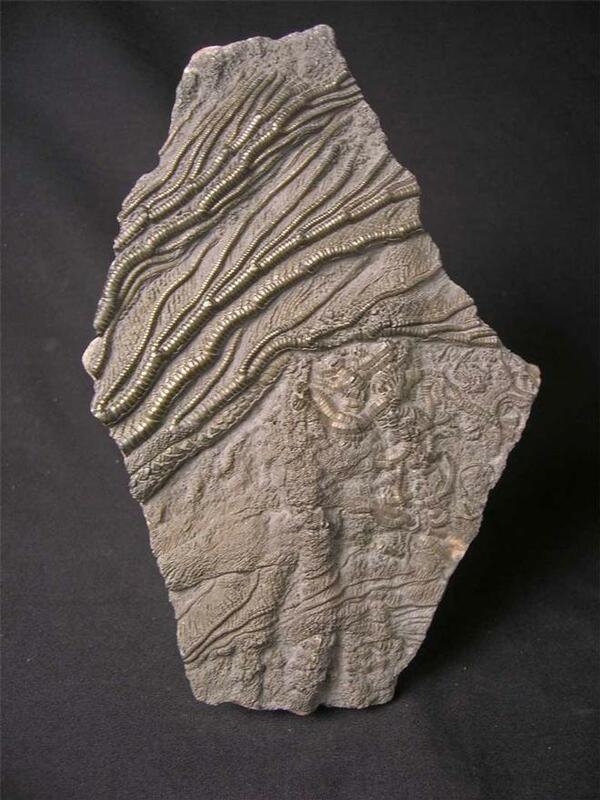 A very nice and rare addition for the collector of UK crinoids. 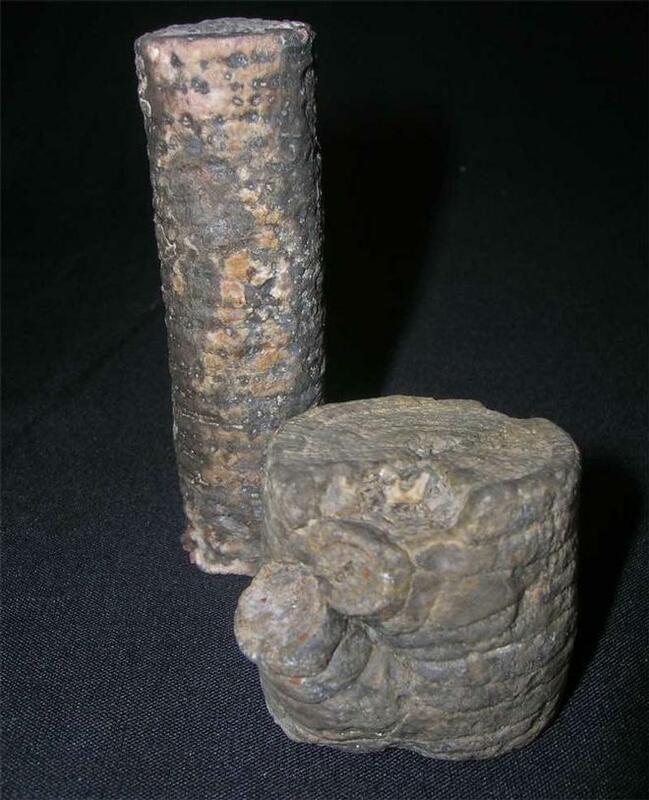 Two really nice examples which were discovered in a carboniferous reef knot in 1991. There is very good detail throughout both stems. Approximately 345 million years old. A lovely aquisition for the beginner or just to study. This beautifully preserved piece of crinoid exhibits a lovely head and stems with attached cirri. 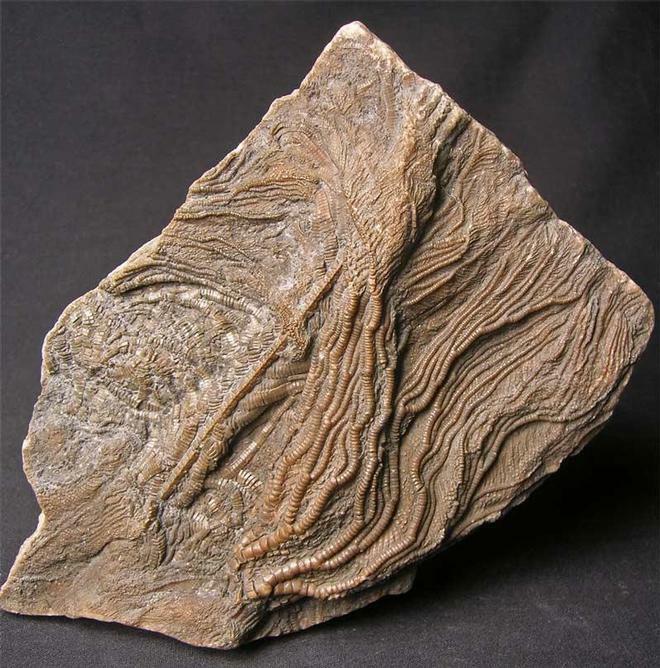 Quality crinoid specimens from this locality are extremely scarse to find thesedays, this wonderful specimen was discovered in 1989. A lovely drawer piece for the collector. Approximately 200 million years old. Preserved in stone and not pyritised.